Escondido Center is a branch of Self-Realization Fellowship, a worldwide religious organization with headquarters in Los Angeles. at the heart of our Center is an active and growing group of SRF members and friends. We participate in meditation services and activities that foster spiritual fellowship among adults, teens, and children. All members of the general public are warmly invited to join us for any of our services. 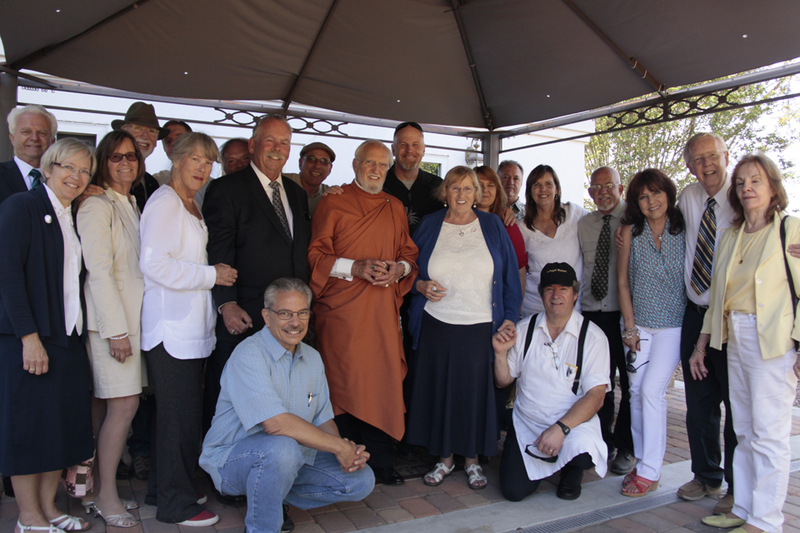 The Escondido Center hosts regularly scheduled events that include meditations, talks in English and Spanish, kirtan (group devotional singing), a Lessons study group, special commemorative services for the SRF gurus, and an annual Kriyaban ceremony. Monastics also conduct weddings and christenings. Sunday school classes are held for children ages 3 to 12, and an active teen group engages those who are 13 to 18. A parent-infant room is available for parents with children younger than 3. Periodically monastics speak at the Sunday morning service and give classes. A fellowship brunch is held monthly so members, their families, and friends can meet while enjoying a delicious vegetarian meal. Our Center offers numerous opportunities for service. Volunteer committees are overseen by a managing council, which is elected annually by members. The council is guided by the SRF Center Department in Los Angeles. Donations go towards upkeep of the property and other general expenses, the EMC Building Fund, or to SRF, as indicated by the donor. SRF was established by Paramahansa Yogananda, a God-realized Master who came to the West from India in 1920. His primary mission was to teach Kriya Yoga, a scientific meditation technique for attaining direct, personal experience of God. To learn more about the SRF teachings, we suggest you visit the Center’s Bookroom, which is open every Sunday morning. Here you can find a wide range of how-to-live books, CDs, and DVDs on the teachings of Paramahansa Yogananda and the art and science of spiritual living. Free literature and applications for the SRF Lessons also are available.